11/7/2008Share this story on Facebook! We won! Ithaca College’s renowned, student-run radio station, WICB, won the mtvU Woodie Awards for best college radio station! IC beat out Sacramento State University, Auburn University, DePauw University, Emerson College, and Seton Hall University. 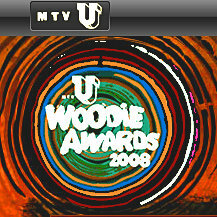 The Woodie Awards are the self-proclaimed “definitive college music awards.” Other categories include Woodie of the Year, Best Video Woodie, Good Woodie, Breaking Woodie, Left Field Woodie, Performing Woodie, and Best Music on Campus.The mtvU Woodie Awards will be broadcast live on mtvU and mtvu.com on November 19 at 8:00 p.m., so make sure to tune in!